A diet full of fruits and vegetables is better than a diet without them, but if possible, consumers should go organic when purchasing certain leafy greens and other produce, according to the Environmental Working Group (EWG). It’s tried and true advice given by the EWG when they release their annual their lists of fruits and vegetables that accumulate the most and least amount of pesticides. But some produce, notably spinach, seems to be getting worse. 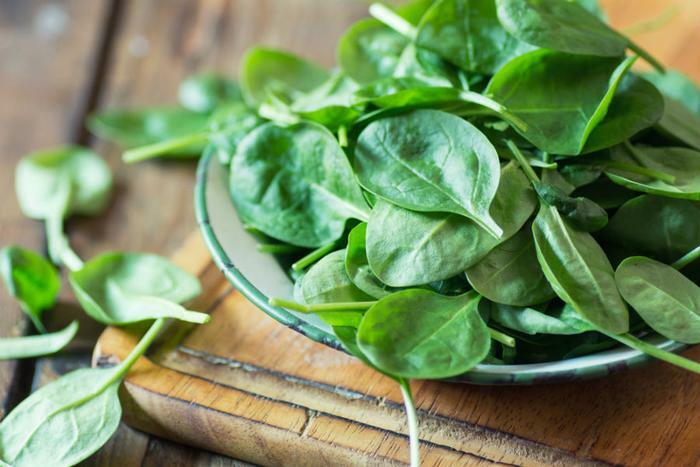 According to federal data analyzed by the EWG, spinach samples are showing a “sharp increase” in pesticide residue. Non-organic spinach samples “contained far more pesticides by weight than all other crops tested,” the EWG reported. Using data provided by the U.S. Department of Agriculture (USDA), the EWG reported in their 2018 shopper’s guide, released this week, that non-organic strawberries, spinach, nectarines, apples, grapes, peaches, cherries, pears, tomatoes, celery, potatoes and sweet bell peppers all had potentially harmful levels of pesticide residues, as they have in previous years. While most pesticide samples found on the samples are legal in the United States, many samples, particularly spinach, contained relatively high levels of permethrin. The chemical has been banned in Europe since 2000 for use on food crops, due to some research suggesting it has neurotoxic effects on children even at low levels. And the pesticide DDT, which has been banned in the United States for nearly fifty years, was present on 40 percent of spinach samples. EWG researchers speculate that the DDT is appearing on spinach due to residual product that remains in the soil. Meanwhile, produce covered with thick, non-edible skins, such as avocado, eggplant, pineapple, cantaloupe, and honeydew continue to score well in terms of pesticide residue. Cabbage, cauliflower, and broccoli also had relatively low pesticide levels.